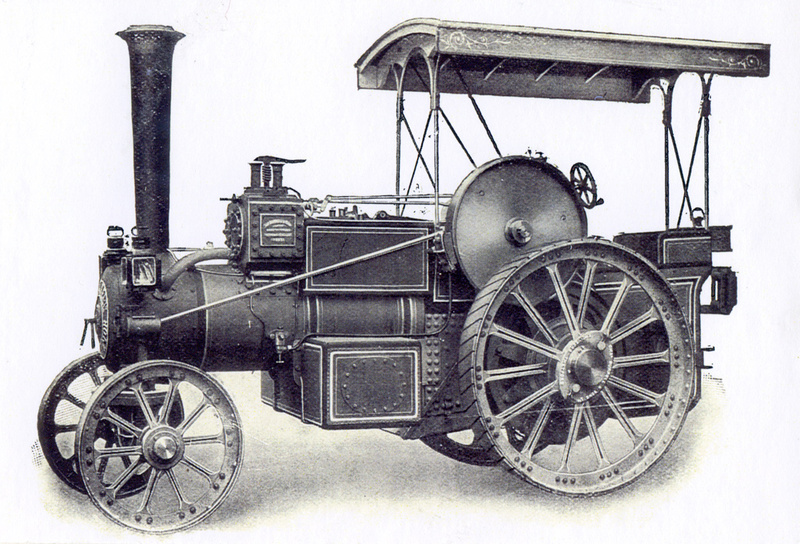 Some notes on the ptototype . 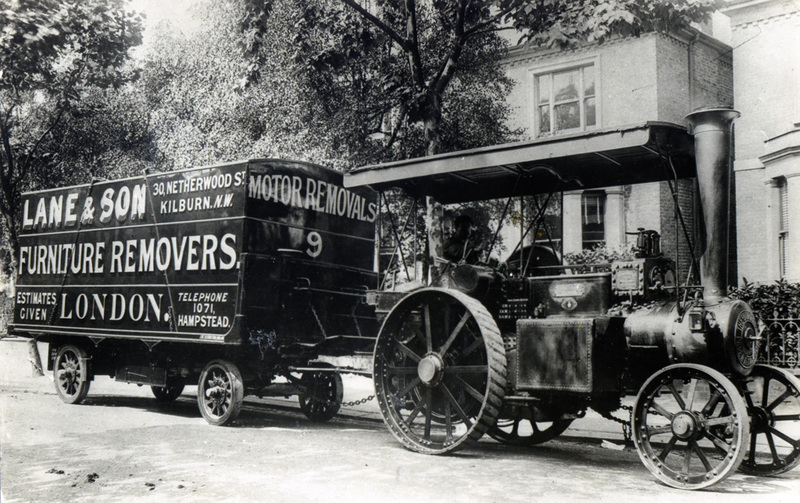 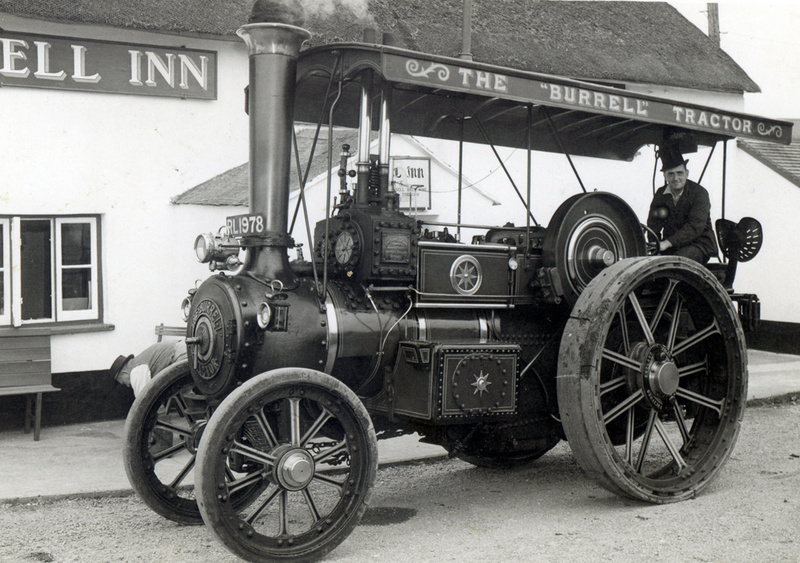 The first Burrell 4nhp five ton tractor was completed in 1905, in total 221 were manufactured. 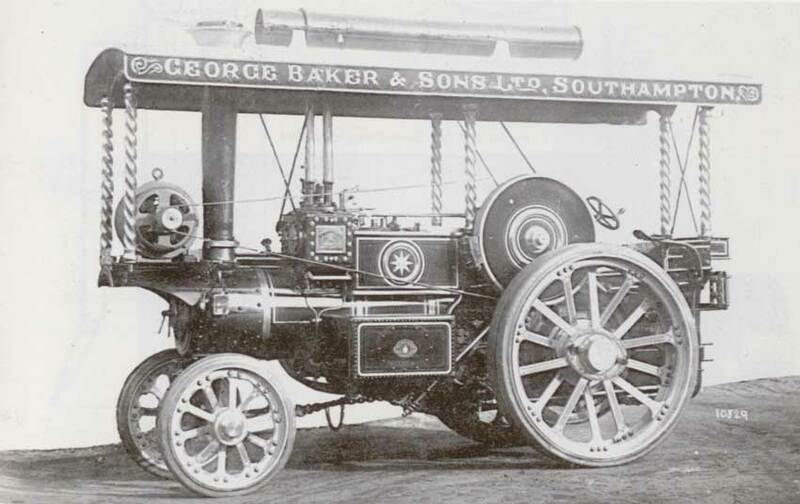 The first four worked at 180psi, the remaining were pressed to 200psi. 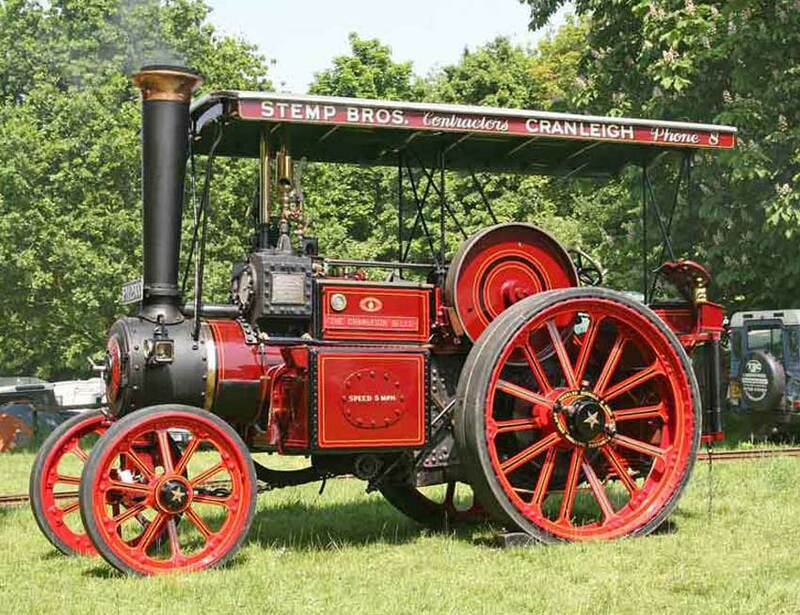 The engine weighed 4 tons 19cwt, which being less than 5 tons meant it was legally considered suitable for one man operation in the 1904 Heavy Motor Car Act. 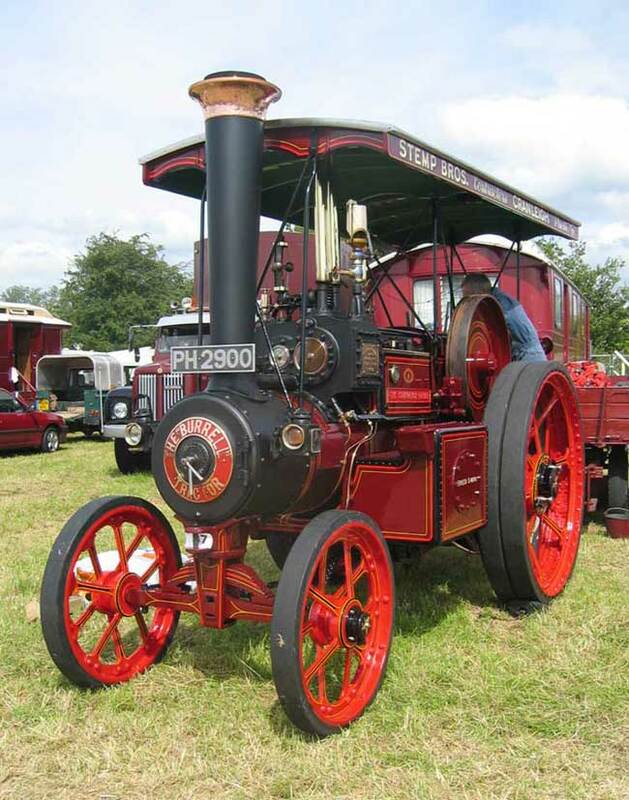 The tender and belly tanks held 150 gallons of water which gave them a range of 12 to 14 miles laden, more if travelling light. 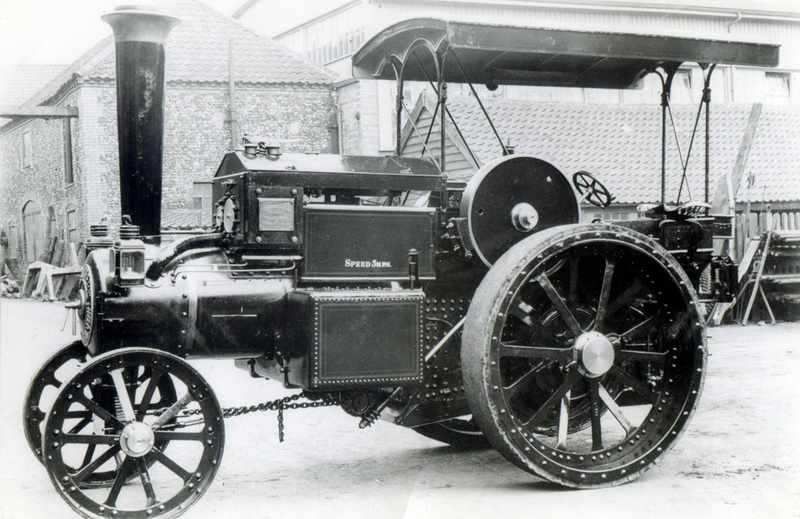 An example of this class of engine, no 2932, won a Gold Medal in the 1908 Royal Automobile Club Trial. 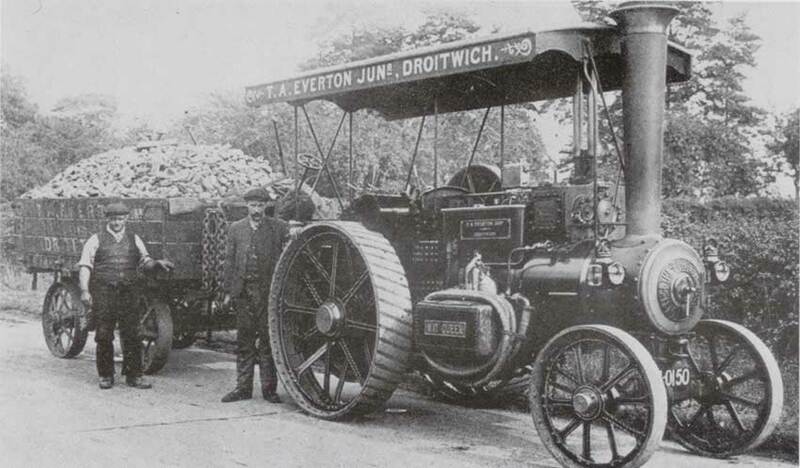 The engine towing a load of 6 tons travelled 686 miles in 22 days consuming just 9.2 lbs of coal per mile. It is from these trials that the engine takes its name. 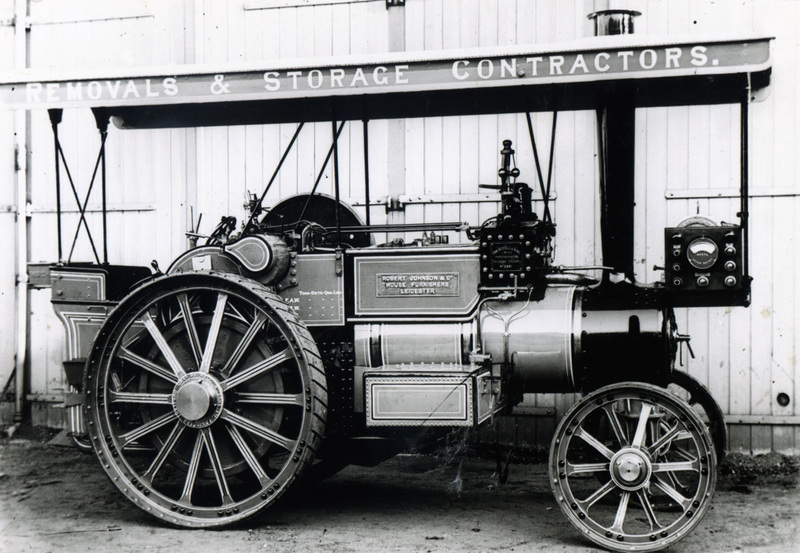 The compound cylinders had an HP bore of 4.5” and a LP bore of 7.5” both by 8.25” stroke. 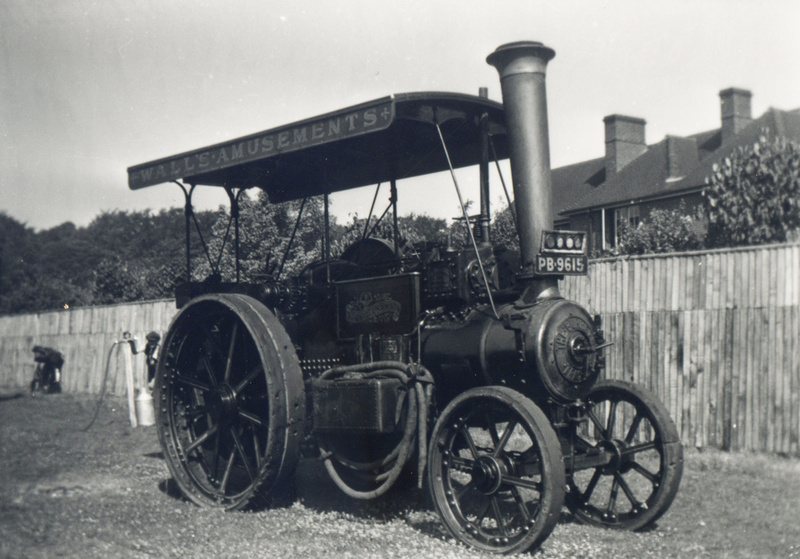 Nine of the 'Gold Medal' tractors had single cylinders of 6.5” bore by again 8.25” stroke. 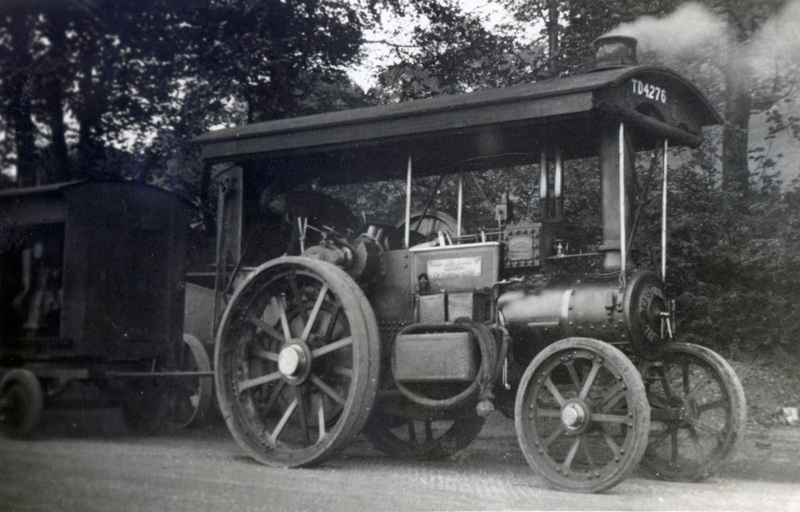 The engines developed 16 BHP and were quoted as able to handle a load of 12 tons up a 1 in 18 incline. 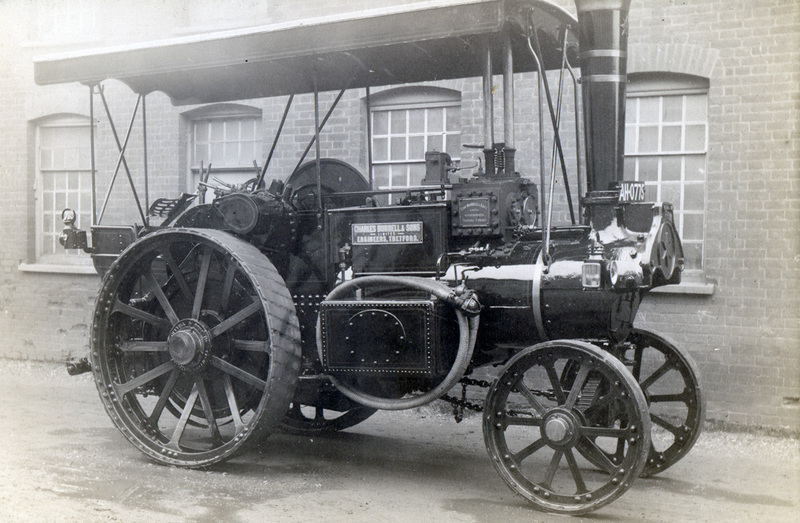 All were double geared to the back axle with the differential unit mounted on the second shaft. 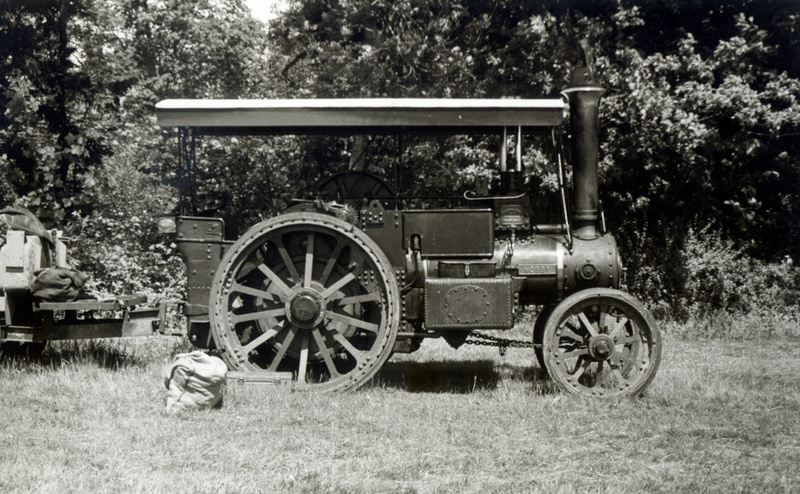 A winding drum was fitted to the back axle. 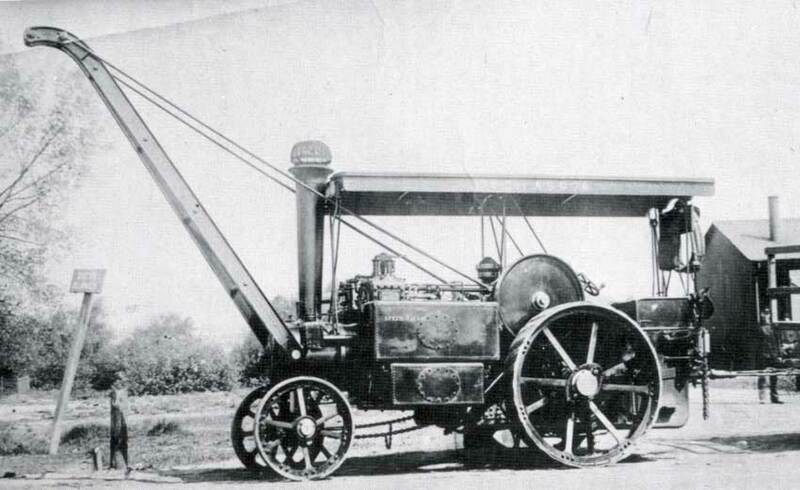 Two speed engines had a slow speed ration of 24.4 to 1 and fast speed of 13.6 to 1, later engines had a further speed with a ratio of 7.6 to 1. 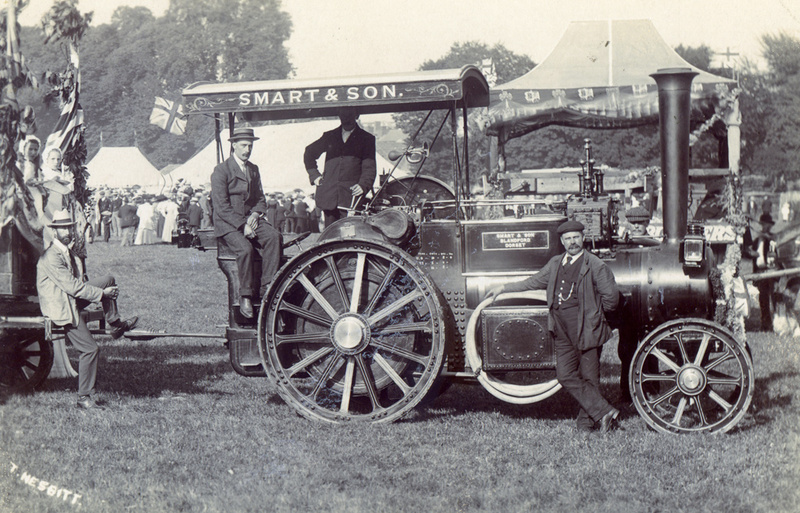 The ‘extra fast’ speed was popular with drivers when returning ‘light’ the yard after a days work. 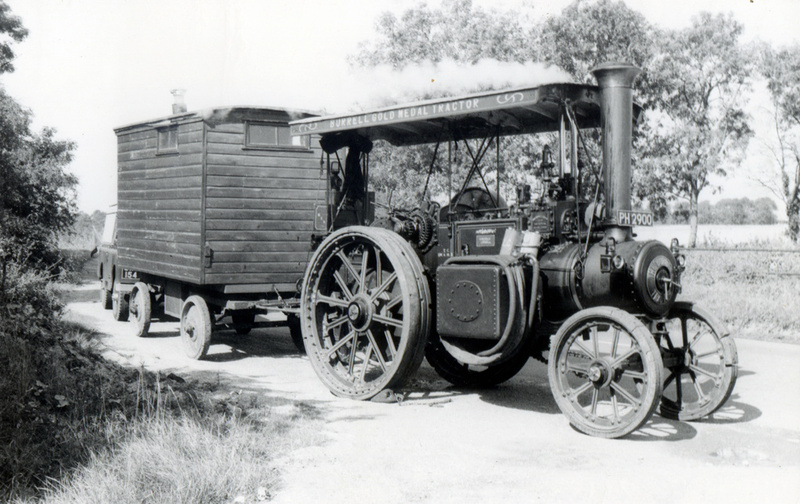 The 'Gold Medal' was considered a tough little worker, both on road haulage and threshing where it reputedly coped with a drum usually reserved for 5nhp engines and above. 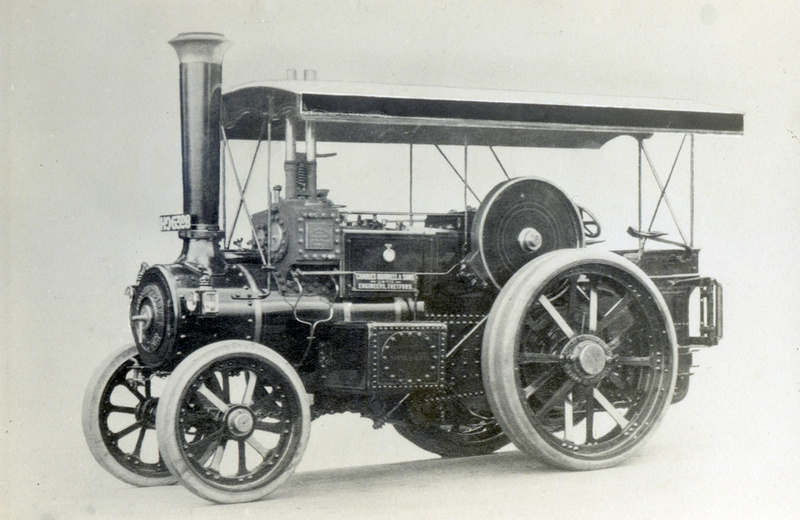 The crankshaft was set to 230 rpm on belt work, controlled by a Pickering governor. 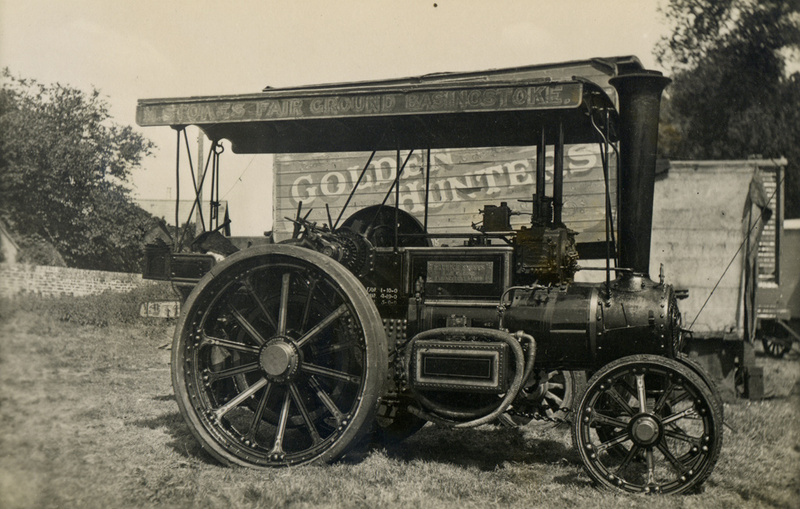 Eleven 'Gold Meda'l tractors were supplied new to showmen complete with the usual dynamo platforms and extended canopies. 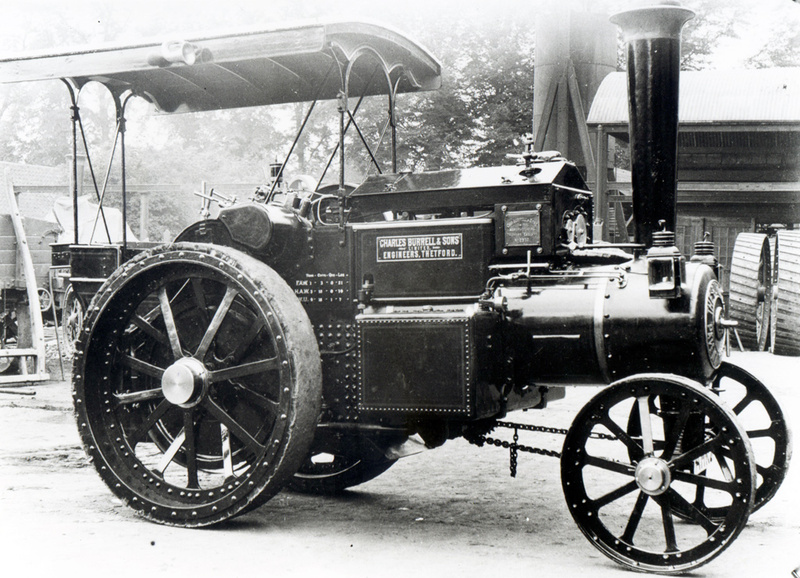 The engines while still being called ‘5 ton Tractors’ naturally weighed more, an example fitted new with Mackintosh’s solid rubber tyres weighing 5 tone 16 cwt. 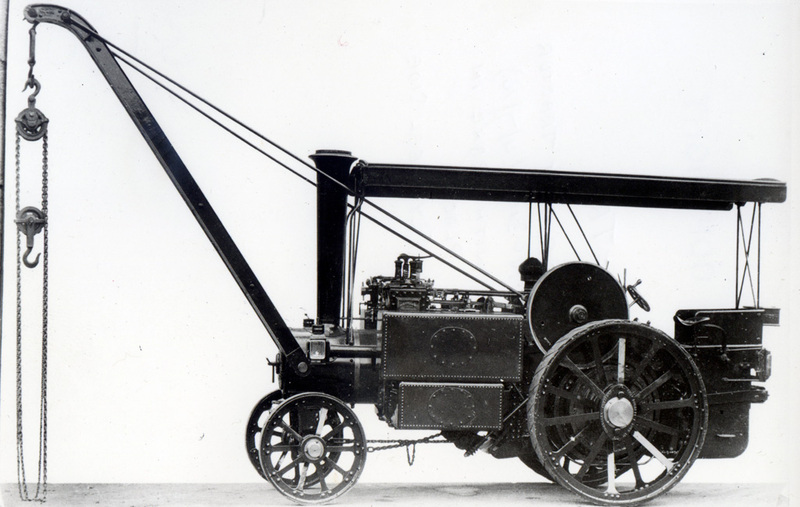 Six Gold Medals were built as crane engines.